Wooden stairs have many advantages, but also they have some weakness. Beautiful wooden stairs at the entrance to your house may be the main peace of the furniture. So it’s important to provide the right maintain. Regular cleaning, using polishes, scratch removing and periodic refinishing can provide best look of wooden stairs for many years. Let’s discuss some simple ways to take care of your stairs. Your wooden stairs will look their best for a long time, if you follow some simple rules. The most common problem is that wood “fears” of moisture. That’s why it’s very important to maintain the humidity level about 50-60%. To avoid high humidity you may use some special moisture-absorbing agents and do regular airing of your house. Every week you need to clean stairs. Start cleaning from the top of the stairs, move down step by step. You may do it by vacuuming or sweeping. If you have poured water on the wooden stairs, try to wipe it very quickly. Wood can soak wet spot very fast. For wet cleaning it would be better to use any special cleaners which contain a liquid wax. It’s important to minimize warm during the cleaning. Use special sponges and wipe stairs with the dry towel at the end of your cleaning. Wood is a soft material. 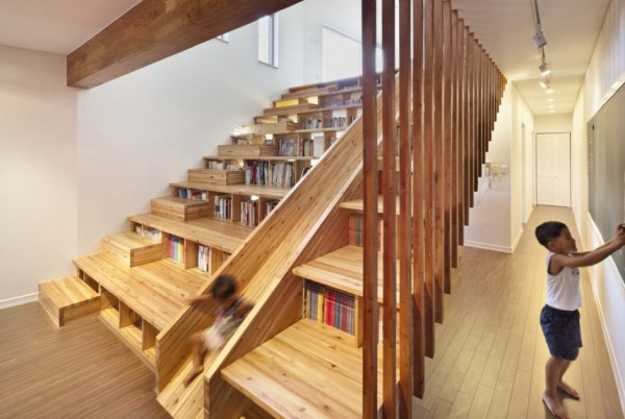 There are some ways to avoid damage of the wooden stairs. Try not to wear high-heeled shoes in order to leave dents.. Prevent scratches from putting pad feetat the entrance of your house. It will clean your shoes from small stones and gravel and prevent scratches on the wooden steps. Don’t drag your bags, child’s toys or other things which can damage the wooden stairs. If you have children, don’t let them play on the stairs. When you need to move some heavy furniture on the stairs, use soft towels under the sharp corners. Regular polishing of wooden stairs must be done every month. Polishing can help you to remove some small scratches and dents. It’s important to use high quality waxes. You may choose cleaner for your type of wood. Polishing is a long and difficult process, but the result is always excellent. Regular polishing is the most important part of wooden stairs maintenance. According to the wood type of the stairs you need to recoat them every 5-10 years. The main traffic areas may show some wear surface. Firstly, you need to clean up old varnish and dust by sanding it away. You can do it by hand or using some equipment. Then you need to recoat these areas with a new finish according to instructions. You may also recoat entire wooden stairs to refresh it and add more protection. These are the easiest ways to take care of your stairs. Follow these simple tips and your wooden stairs will look excellent for many years! Kelly is a fashion designer live at Evansville in Indiana. She loves to write about fashion, home cleaning natural article. Also she like blogging. She has two kids with her husband. 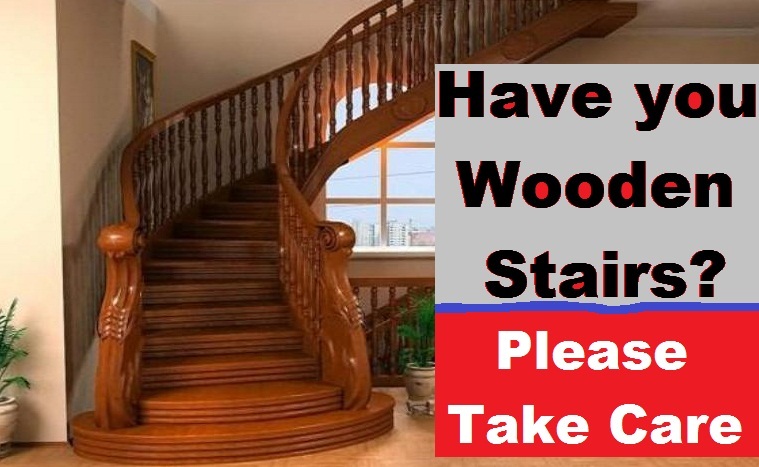 Thanks for sharing these great tips on how to take care of and preserve wooden stairs. Wonderful post! Keeping your wooden furniture well preserved is very important to prevent long term damage. These are great tips, thanks for sharing! If you maintain your wooden floors and stairs properly, they can last for decades. Great tips, thanks for sharing! Our company uses Method wood cleaner… Great smell protects great. Grimefighters cleaning services out of Spokane.